Just imagine if the local church became the place in culture to experience beauty, creativity, and transcendence. Hundreds of years ago churches were, in many ways, centers for these experiences. Somehow, over time we’ve abdicated that role. Now, many churches are moving in that direction again and there’s a growing desire to begin developing creative arts programs (see Notes 1). Of course, the arts are inextricably intertwined with our culture. The average person encounters performance, music, design, image and the media arts daily, even hourly. Most churches would like to become more fluent in the use of the arts to communicate truths about God more effectively–that’s a worthy goal. God designed the arts to jump over our barriers, slip past our intellect, and penetrate our hearts and souls. But His design for the arts goes beyond human thoughts about how they could be “useful.” He conceived them because He IS beauty and creativity, and because He can uniquely express His love through them. Embracing beauty and creativity enables us to more fully understand His personality and enjoy His presence. Many Christians are recognizing that God is calling us to reclaim the arts and renew the use of them in our churches. In many cases this means an “arts ministry” will be created to develop artists and projects. Some activities that might fit under the title of “arts ministry” in the local church include: creating performance pieces for services (e.g., drama, dance, spoken word, etc. ), creating live visual art for services (e.g., live painting during worship), creating gallery spaces for enjoyment and meditation (see Notes 9), creating art that is positioned permanently or seasonally behind the altar or around the sanctuary, creating interactive art, sensory, or “sacred space” experiences for the congregation, using the arts in community outreach (e.g., taking the arts to nursing homes, shelters, schools, etc. ), employing the arts as learning tools for youth, using the arts in counseling and therapy, using the arts spontaneously as a mean of conveying “prophetic” messages, offering arts classes and workshops, and much more. Most churches around the world don’t currently have much in the way of arts ministry or programs, though there are talented artists in their congregations. If God has been nudging you, speaking to you about incorporating the arts into your church, below are a few thoughts on how to get started. Part One offers tips for artists, Part Two for pastors and leaders. It’s important to note that we believe the best way to develop a thriving arts ministry is to first build a strong arts community—a fellowship of artists—in your church. Talk with someone in leadership about integrating the arts into your church. Connect with leadership. Your senior pastor may or may not be the person to approach to start this dialogue; it may be the worship pastor or an elder who “gets” you. It’s common for churches to be entrenched in the “way we always do things,” so you need to be patient, respectful, and trustworthy in your approach. Try to determine what is important to your church and its leadership (e.g., outreach, discipleship, justice, community, etc.) and imagine how an arts ministry can further that mission. Put that in a presentation that makes sense to leadership. See if there is an official process for starting a ministry in your church. There may be an application you need to submit. If your church is more open to the arts, explore where leadership would like to go with the arts in the future. Ask for dates when arts projects would fit in to services. Get permission to hold a meeting for artists, if that seems to be the next step. Initiate some projects. After you’ve built community and gotten to know each other for at least a few months, start exploring projects or ideas you might try as a group. It’s important to give your growing group of artists a project to work toward. Go back to Step 2 and think about how you can assist in the mission of the church. Take some time during the meeting to brainstorm and listen to God together, asking Him how you can collaborate with Him in the arts (see Notes 4). There are many project ideas that can get your artists, the congregation and leadership involved (see Notes 5 for ideas) and enhance the church’s mission. You may need to start slowly with projects that are easily grasped. In many cases you will be educating the congregation and/or leadership in how to engage with the arts in a church setting. After you develop some ideas, invite your pastor or a leader to a meeting to talk about how they might work, and about setting a vision for the arts in your church. Other things that will activate the talent and enthusiasm of your artists might include having some of them offer a workshop on their area of expertise to the congregation, or starting an art gallery in the church (see Notes 9 ), or you might collaborate to put together a special mid-week arts service, or design holiday services. Even if no specific church projects are immediately available, you can still build momentum by continuing to meet and/or setting up monthly or quarterly “creative days” where artists eat, create, and encourage one another in their creative callings. Seek God for His plan. Ask God to give you a vision for what He wants to do through the arts in your church. Just as pastors have specific messages from God for their congregations at specific times in history, so it is with the artists He has planted in your congregation. If you teach them to hear God’s voice they will bring powerful messages that enhance what He is doing in your congregation (see Notes 4). 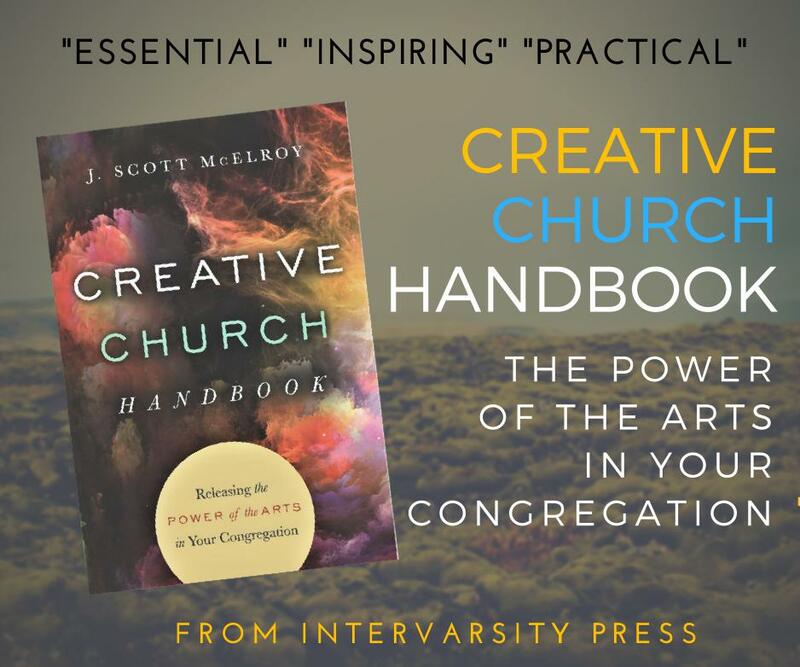 Get a copy of IVP’s essential handbook on arts ministry, Creative Church Handbook: Releasing the Power of the Arts in Your Congregation. You might also read books like Heart of the Artist (Noland) or Finding Divine Inspiration (McElroy) to better understand how to disciple and encourage artists. The arts have endless applications in ministry; they can enhance worship, illustrate or enhance ideas and concepts, stir emotions, add beauty, enliven outreach, intuitively communicate God’s messages and more. God will use them in unique ways to convey His love to your congregation (see Notes 5 for ideas). Pray for the right person to lead your artists. You want an arts ministry to develop naturally, in God’s timing, and to not be forced. Arts leaders can be difficult to find. Your ideal arts leader will probably need to be a mix of pastor and administrator. Their pastoral tendencies will be important to shepherd, encourage and understand the artists, and administrative skills will provide the follow-through that artists and artistic projects need. It’s helpful if the leader has artistic talent, but not mandatory as long as they understand the creative temperament. Make a commitment to disciple this person; they will be a huge asset to you and your church (see Notes 7). Invite artists to meet and pray. When you have an arts leader, or at least someone who feels led to spearhead an arts effort, put a notice in the bulletin inviting interested artists and creative types to meet at the church or a nearby coffeehouse. Invite them to pray and talk about possibly starting an arts ministry. Use the time to gather contact information and circulate a survey (see Notes 3 for survey). Share the vision God has given you for the arts in your church. You might also take some time during the meeting to brainstorm and model how to listen to God together, seeking to collaborate with Him through the arts to bring His messages to your congregation. It’s very helpful to share the vision and values of the church with the artists and ask them to think about how the arts might enhance those. Understand where they are coming from. Many artists have been offended by the church or Christians. Just spending time with them in this group setting will help them heal. You will bless them immensely if you take the time to pray for each of them individually at some point during the meeting. As these artists flourish, your congregation will flourish. When the arts and artists begin to integrate into a church, that congregation becomes more complete and mature because the Body of Christ is operating as it should, with each part and gift building up the other (Romans 12:4-6) (see Notes 8). Help launch the ministry. Later, when you have an arts leader and they have built community with artists in the church, have them call another meeting—which you attend—to talk about specific arts projects you and they want to do. Your attendance will help commission them and clarify direction. NOTE: It is important to meet at least occasionally with your arts leadership. Discuss difficulties, challenges and dreams they have. Give them a list of dates, topics or services you’d like to see the arts integrated into, and reiterate the church’s mission and values. MAKE SURE you’ve spent time listening to them first. If you give them ideas first they may be overloaded. Help them to set up a plan for discipling the artists in their care. Let them know you and the church stand behind them. With the guidance of the Holy Spirit, an arts ministry can open new doors of experience and understanding for your congregation and may become one of the richest and most enjoyable ministries of your church. A historic movement is underway. It’s a movement that will connect artists with the ultimate Creator, awaken creativity in the average person, invigorate the local church, and convey God’s love to the world in authentic and creative ways. It’s a New Renaissance, and you and your church have a part in it. “A Prayer for the Renewal of the Arts” provided at here. See the book Finding Divine Inspiration and its workbook for more on leading artists to hear God’s voice. See “Materials and Ideas” under “The Arts in Your Church” at http://TheNewR.org. 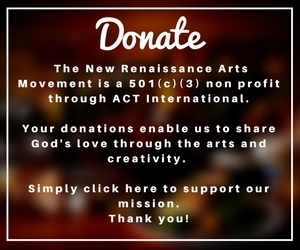 For more information, ideas and resources go to The New Renaissance Arts Movement at http://TheNewR.org. For great advice on church art galleries see this article: “How to Start an Art Gallery in Your Church” by Christopher Brewer. See also CIVA’s Gallery Handbook. J. Scott McElroy is founder and director of The New Renaissance Arts Movement, the author of Creative Church Handbook: Releasing the Power of the Arts in Your Congregation and Finding Divine Inspiration: Working with the Holy Spirit in Your Creativity (Destiny Image) and is workbook, and director of arts at Vineyard Community Church, Indianapolis, Ind. He blogs at JScottMcElroy.com. Reach him at: Scott (at) TheNewR.org. Jessie Nilo is founder and director of VineArts, the arts ministry of Vineyard Boise Church, and a director of ArtFruition, a school for arts leaders. VineArts operates with a team of 13 leaders that facilitates arts workshops, mission trips, outreaches, studies, a gallery and more. Their permanent studio is open weekly and provides space for the visual arts, writing, culinary arts, film, and design.